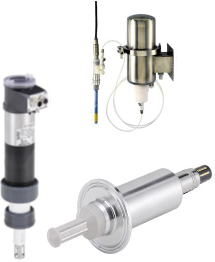 Servo Assisted Stainless Steel 1/2"-2"
Continuing our Go with the Flow series looking at controlling, sensing and managing fluid flows, we will be looking at Sensing the flow. In our previous blogs in this series we introduced you to some of our hygienic isolation and control valves offered at Valves Online. In this blog – Sensing the flow, we will be introducing you to some of the sensors and controllers that work perfectly with our range of valves aimed specifically for hygienic and sanitary environments. Valves Online are increasingly seeing more and more requirements for controlling and sensing fluid flows, especially in the manufacture and processing of foodstuffs. Increased Quality - accurate measurement and control, mean that set points can be met time and time again, and on the results of testing can be refined. Increased Repeatability - through sensors and controllers, variables and unknowns can be isolated and measured. This means that the process can take into full account what is going in and adjust accordingly so that the specific mix is always achieved. Increased Efficiency - through the use of accurate digital measurement and control, human error and overshoot associated with older analogue control methods can be eliminated resulting in less energy usage and reduced processing time. Reduced product wastage - control technologies allow more precise dispensing, more precise cooking/processing meaning that the batch wastage is reduced, reducing manufacture cost and improving efficiency. 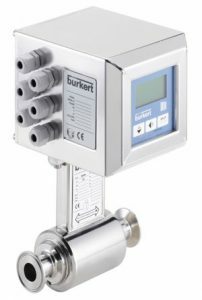 The Burkert Type 8056 magflow meter is ideal for hygienic applications, consisting of a sensor fitting type SO56 and electronics module SE56, is designed for applications with a minimum conductivity of 5µS/cm. Combined with a valve as the actuating element, the complete Full Bore Hygienic MAGflow meter can control high precision dosing and filling applications capable of ±0.2% accuracy on flows from 0 to 10l/h up to 0 to 280m3/h available in Clamp and Weld Ends. Guided Microwave, similar to the radar sensor but sends microwave pulses along a stainless steel rod or cable. 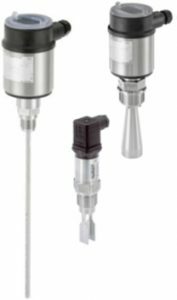 These sensors have a sterile design, CIP compatible, in line sterilisable robust construction, long service life and calibration intervals. This makes them especially suited to hygienic applications and demanding conditions in the food, beverage, pharmaceutical and biotechnology industries to name a few. 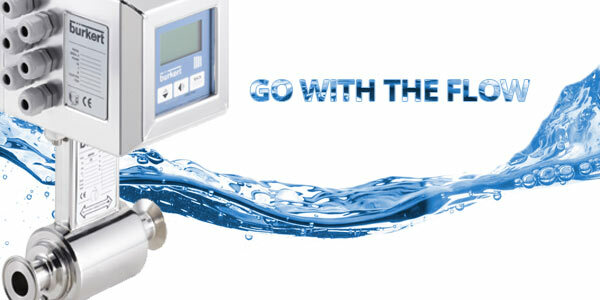 Click here to enquire about Sensors for Analysis Our next and final blog in our Go with the Flow series showcasing products aimed at the hygienic industries is Managing the Flow, which will give an insight into the benefits of using a multicell transmitter/controller. Copyright © 2018 Valves Online Limited. All rights reserved.